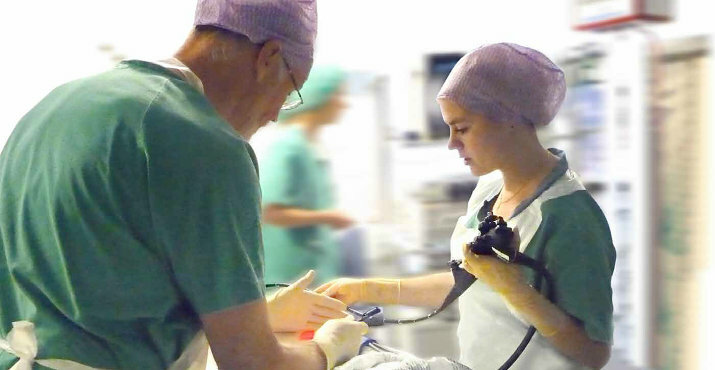 Fellowship grants are offered to fully trained endoscopists wishing to undertake further training in highly specialised endoscopic techniques at officially recognised ESGE training centres. In 2011 the grant programme was extended to include two types; Module I: ‘Basic Training with Experts’ and Module II:, ‘Training with Experts’. ESGE individual members are eligible to apply online for ESGE Fellowship Grants. The grantee receives training on basic steps and specific techniques. The duration of this grant is up to a maximum of four weeks depending on the ESGE training centre and techniques studied. Hands-on training is not offered for module I grants. Through a mutual cooperation, ESGE and the Japan Gastroenterological Endoscopy Society (JGES) offer one grant, module I, per year in an exchange programme. The selected ESGE grantee is assigned to one of the leading Japanese institutions. Grantees may apply for Module II after successfully completing a Module I Grant. A recommendation from the Module I host is required. A duration of three months is foreseen for Module II grants. Grantees may expect hands-on training on specific techniques during this period.